Branded kiosks with iPads running a special Healthy Roster app. 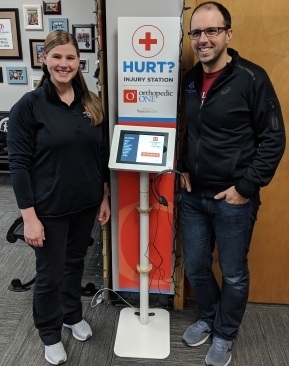 The injury stations help connect people with injuries or injury questions, to your athletic trainers and physical therapists. After entering a couple pieces of information, our app will connect the person with your staff via live video or a call back request. Injury Station can be placed anywhere you’d like to extend your organization’s outreach efforts. Our customers have injury stations in retail stores, ice rinks, basketball gyms, fire and police stations, industrial work environments, and more! In addition to creating new patient leads, they bring a valuable service to your outreach partners. Now, when they are faced with an injury to one of their customers or employees, they can reduce risk and liability by quickly referring them to your team. 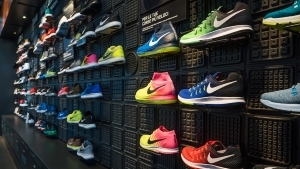 + For serious runners, going to a big box sporting goods store just doesn’t cut it. While there may be a bigger selection, serious runners like to buy from places where the sales people know the difference between pronation and supination. + In that same thought process, when injuries hit a runner, they need to understand how to treat and recover so they can get back on the road. If the sales people can walk someone over to an Injury Station, they are providing another value added service to their customer. + As an healthcare group, if you can be at the receiving end of a call about an injury, without having to staff that store, you’re creating value and potential revenue without significant cost. + Ask any warehouse manager and she’ll tell you keeping her workforce safe, healthy, and on the job are the keys to success. Since most of her employees are engaged in a physical job, injuries occur. How can she manage their injuries and ensure they recover quickly? + Dropping in an Injury Station can provide the warehouse or safety manager with a professional resource to handle new and existing injuries. + Healthcare organizations can now extend their reach into new environments and outreach partners without worrying about how they’ll staff every warehouse in the city. + In a study published in the Journal of Strength and Conditioning Research, researchers surveyed 132 CrossFit athletes. They found that “97 (73.5%) participants had sustained an injury that had prevented them from working, training or competing.” Of these injuries, nine required surgery. That's 9% that required surgery! 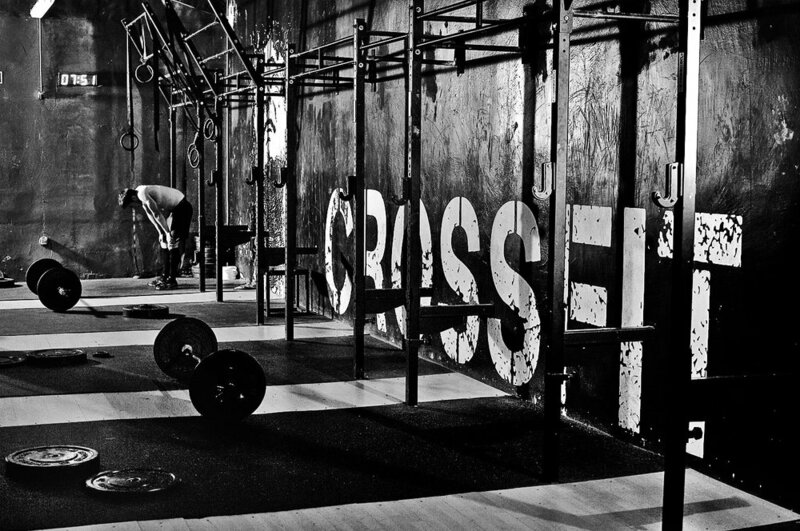 + There are over 5,000 CrossFit gyms in the US and over 4 million people that practice CrossFit. That is a large number of people and gyms that could use injury support from healthcare organizations using injury stations.